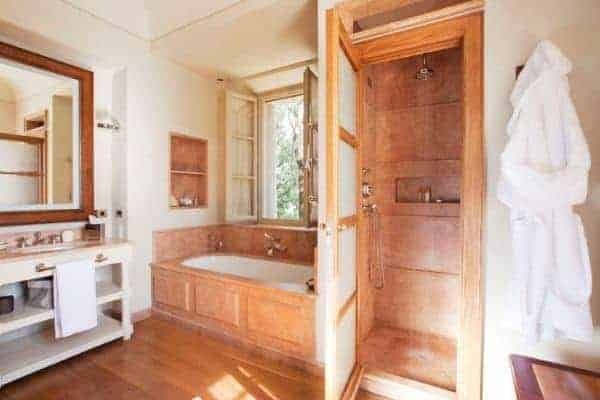 Do you dream of transporting yourself back in time, to live the life a lord of a country estate amid lush green rolling hills? 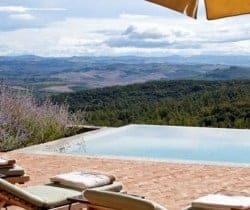 Deep in the Tuscan countryside within the spectacular Val d’Orcia Natural Park, this is an opportunity for you when you are a guest of this luxury villa; one of 9 scattered throughout an estate which dates back 800 years. 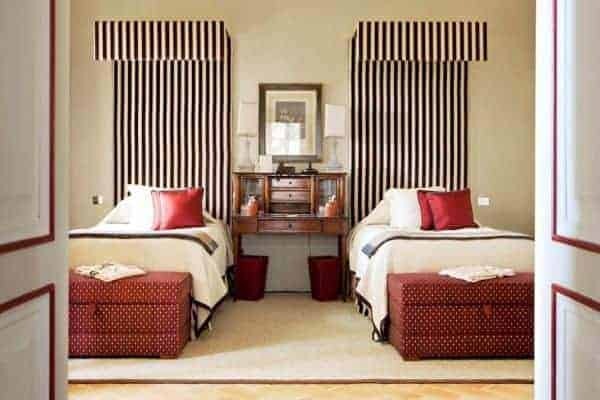 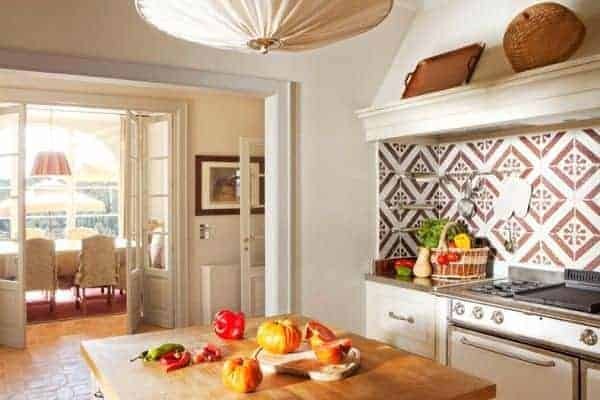 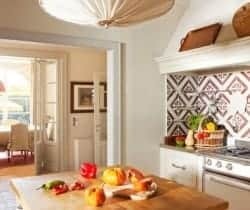 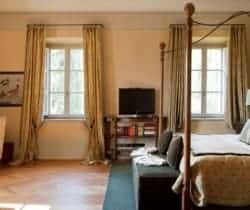 The villa has been completely renovated and refurbished to maintain traditional Tuscan ‘casale’ charm, whilst also providing all luxurious modern amenities. 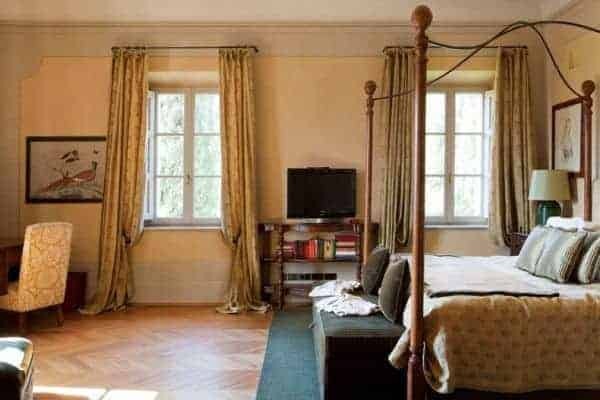 Here you can enjoy a fine and relaxing holiday to become reacquainted with nature. 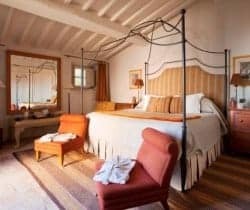 Roaming deer, pheasants and hares will be among your visitors, while you will also have access to many outdoor leisure pursuits that include golf, hiking, mountain biking, horseback riding and last but not least, the historical Tuscan villages all around you. 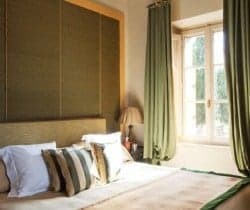 Nestled within a landscape of rustic olive groves and manicured fruit orchards , this luxury villa is nonetheless within walking distance from the hub of the “Borgo” with its restaurant, shop and spa. 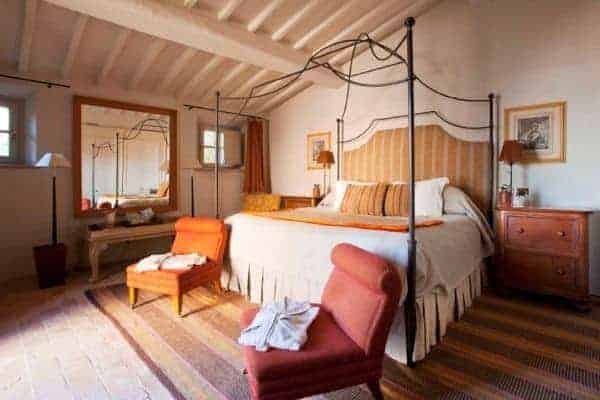 This is a charming villa in which you will feel completely at home, and which is elegantly furnished and luxuriously appointed with fine fabrics to match the warm colours of the Tuscan countryside. 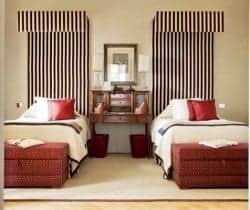 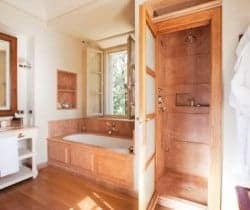 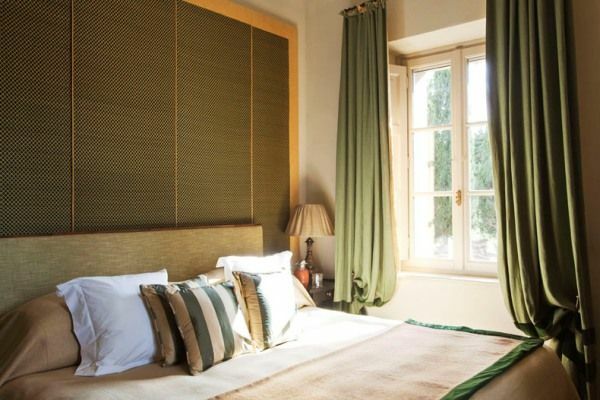 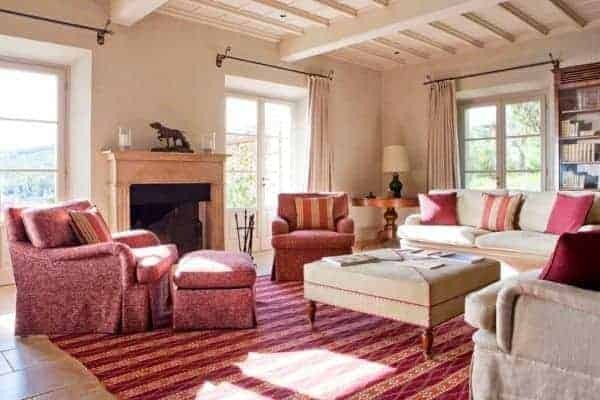 This luxury villa comfortably sleeps 8 people in 4 finely decorated en suite bedrooms distributed around the main house and in the adjacent annex. 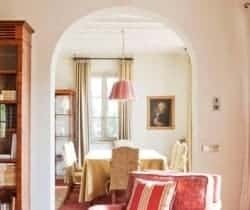 The large living room is the heart of this villa, with its cosy sofas, authentic Tuscan fireplace and sumptuous antiques creating an intimate ambience in which to spend time and relaxing afternoons in good company. 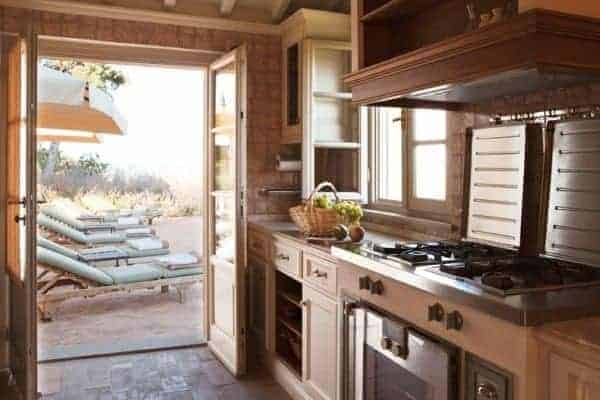 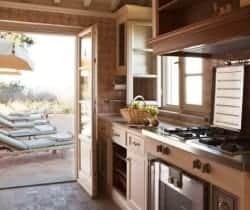 Outside from the garden terrace and infinity swimming pool, the view of the surrounding countryside is indescribable and here you will be able to enjoy lunch served from the annexed second kitchen serving the pool. 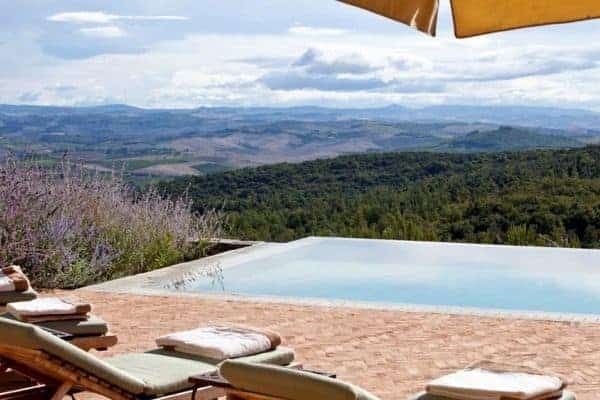 On warm summer evenings, as the sun sets behind the green hills, you’ll want to dine al fresco and entertain your friends with such a heart-stirring panorama as your backdrop. 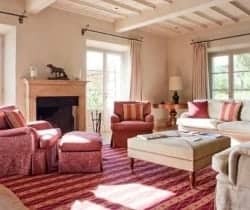 This luxury villa is perfectly suited to welcome a family and group of friends, dreaming of getting away from chaotic city life for the utmost relaxation, serene tranquillity and ravishing views. 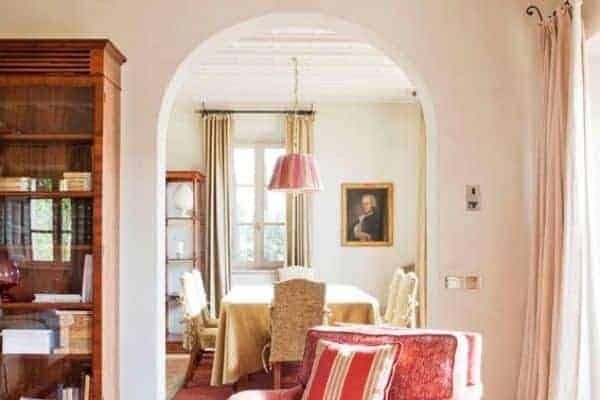 If you need more space because of a larger family or another group of friends want to join you on this adventure, there is another luxury villa close by that can be easily rented with this one.